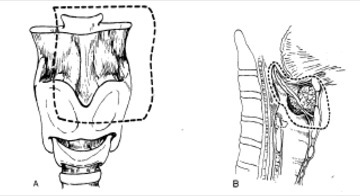 one arytenoid may be removed when necessary. 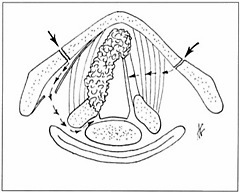 Total laryngectomy = Supraglottic laryngectomy + glottis, arytenoid cartilage, and cricoid cartilage. 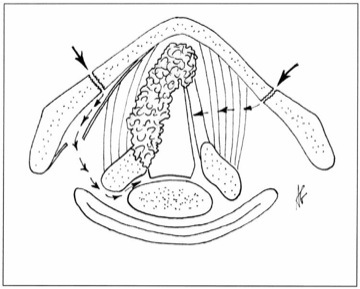 all structures in Larynx above the vocal cords (glottis). ex. hyoid bone, epiglottis, preepiglottic space, thyrohyoid membrane, superior half of the thyroid cartilage, and the false vocal cords.